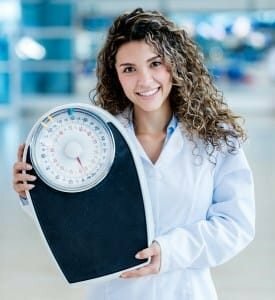 If you tried dieting on your own in the past without much success or have fallen victim to yo-yo or fad dieting, it may be a good idea to consider getting help from a medical weight loss clinic. Dr. Urshan’s Health and Weight Loss Center is a medical weight loss clinic serving St. Petersburg. Our doctor-approved weight loss technology and proven medical weight loss system identify and addresses the root cause of weight gain, which is your hormones. Often times, these hormonal imbalances cause weight gain because of improper or yo-yo dieting. By balancing your body’s hormones and correcting your body’s established set weight point, we increase your ability to naturally shed the unwanted pounds**. As a “side effect” of this natural and fast-occurring initial weight loss, your energy levels will improve, and you will have the ability to increase your physical activity**. You may even be able to pick up an enjoyable, new exercise regimen. You may have noticed that Dr. Urshan does not administer painful shots or harsh pharmaceutical pills to encourage fat loss. Unlike other fat loss programs, our proprietary weight loss system ensures sustainable results without artificial supplements or gimmicky products. The beauty of our weight loss technology is that you truly can transform your body through its natural and preferred process**. No matter what you’ve tried in the past, you should not be discouraged from achieving your desired health and weight loss goals. If you live in St. Petersburg, Clearwater, Palm Harbor or the neighboring regions, you have access to the leading medical weight loss clinic in the greater Tampa Bay area. Don’t waste another minute. Contact Dr. Urshan’s Health and Weight Loss Center today to get started on your transformation.